In the recent years, green tea has captured the attention of many individuals, particularly in the Western world, due to the different claims that it has many beneficial effects to the human body. However, even before the scientific community has announced its discoveries, green tea has been very popular in the oriental countries, especially in China. During the ancient times, green tea has been known as a treatment to various diseases. 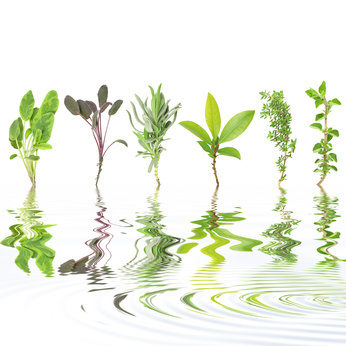 It is true that the scientific community rarely agrees with traditional medicines. But in the case of green tea there is an agreement - this is because the facts are undeniable and there are hard evidences that green tea can indeed help the body. Just like in 1994 where a scientific journal has published that green tea is the main reason why approximately sixty percent of men and women under observation were seen to have a reduced risk of esophageal cancer. In addition, there were several studies conducted that green tea is also helpful in lowering the bad cholesterol level of an individual. The reason behind the positive effects of green tea is that there are many catechin polyphenols present in green tea. One that particularly stands out is the presence of epigallocatechin gallate or more commonly known as EGCG. EGCG is a very powerful antioxidant which helps in inhibiting the progress of cancer cells. Also, it kills the cancer cells without inducing harm or damage to the healthy tissues. In addition, it is known to be very effective in lowering the cholesterol level particularly the LDL cholesterol which is the bad cholesterol in the body at the same time, improving the HDL cholesterol – the good cholesterol. For that reason, heart attacks and stroke are being prevented since the risk of having abnormal blood clot formation is being reduced. Moreover, it has been found out in the research conducted by the University of Kansas that EGCG is two times more powerful than resveratrol, a substance found in red wine that inhibits the effects of smoking as well as the effects of fatty diet. This explains why there are comparatively low rate of heart ailments that was recorded among Japanese men even though about seventy five percent of them are smokers. Recent findings also show that green tea is very helpful for those who want to lose weight. In a study, it has been found out that those who were given green tea extract have burned more calories as compared to those who are not. Green tea is becoming popular as well to those who are beauty conscious, as a matter of fact, there are already many products that has green tea extracts as their ingredients like soap, creams, shampoo and even deodorants. Also, green tea prevents tooth decay by fighting the bacteria that causes plaque. On a personal note, though green tea has been proven effective by experts, moderation on drinking green tea is still needed since it also contains caffeine, though in small amounts, which may cause sleeplessness or other problems. You should definitely try our instant green tea with added botanicals for dynamic energy and thermogenesis to burn fat. Thermojetics Instant Beverage is convenience in a bottle for energy and weight loss. Use the contact us form to let me know you would like to buy one!